Explore your love of music with a Bachelor of Music at VU, and prepare for a range of exciting careers. This course focuses on popular and contemporary music, including international perspectives. You’ll develop your music knowledge, technical fluency, and creativity. Through practice, cultural analysis and critical listening, you’ll discover an inspiring variety of musical styles. Considered one of the best live-music cities in the world, Melbourne offers a range of performance opportunities. Alongside your collaborative projects with other VU students, you'll have the chance to work with some of the city's industry professionals and community organisations. You’ll also have access to cutting-edge music technology and our commercial recording facilities at Kindred Studios. All students should be able to read music notation. If you’ve studied music performance, or worked as a musician, you may be eligible for advanced standing, and credits towards your degree. As part of applying for this course, we need to meet you to find out about your music skills and professional ambitions. You’ll need to book an audition or interview. For international applicants, auditions/interviews can be arranged via online video. Call +61 3 9919 6196 or email us at music@vu.edu.au to make a booking. Greg Aronson on +61 3 9919 2368 or greg.aronson@vu.edu.au. Our music students study alongside music and media industry professionals in our unique industry-based location at Kindred Studios in Yarraville, just a 5 minute walk from Footscray Nicholson campus. In 2016 Kindred Studios was listed as one of the top ten co-working spaces in the world by Lonely Planet. Performance spaces, rehearsal rooms, recording studios and computer labs are fitted out with quality instruments, sound gear, and the latest computers and software. Students studying this course can get performing opportunities through the VU Music Booking Agency. 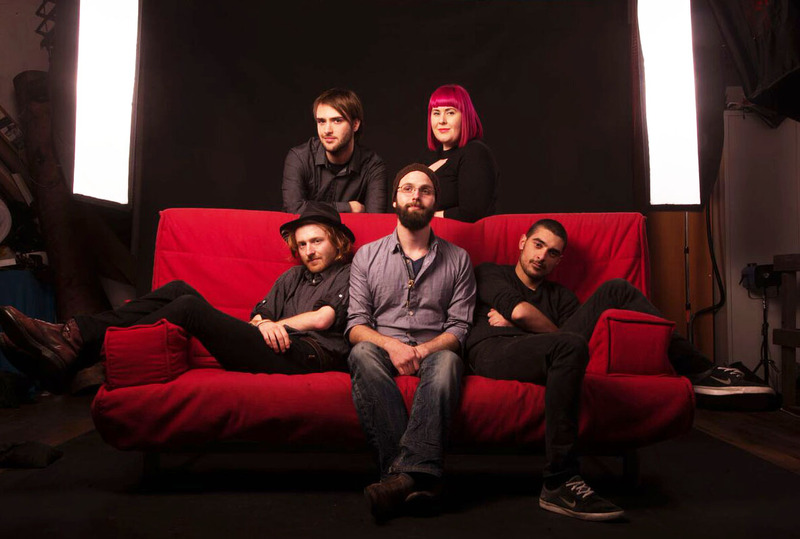 Kiernan Box – who has worked with Augie March and the Black Eyed Susans. Our Bachelor of Music has a reputation for being modern, progressive, friendly, and having engaged and responsive staff. The course is accessible, supportive and has a positive culture. For mature-age professionals seeking a qualification, we offer flexibility to study alongside your work. You’ll have the exciting opportunity to travel as part of your study, on a university exchange or overseas study tour. We have partnerships with the Edinburgh Napier University in Scotland, Belmont University in Nashville USA, and Tecnológico de Monterrey in Mexico, among others. We also offer study tours to Asia each year – past tours have included China, Indonesia and India. Melbourne boasts more live-music venues per capita than any other major city in the world – so when you study at VU you'll have more places to perform or get inspired. According to Visit Victoria – the state's major tourism and events company – Census data shows that, with more than 450 music venues, we top New York, London and Tokyo for gig-spots per person. Melbourne is also the music festival capital – with performers at around 350 festivals. Come to Melbourne to study music, and make the most of living in a live-music metropolis. Following this music course, you can prepare to become a secondary music teacher with our Masters of Teaching (Secondary), or other postgraduate study at VU. Some graduates of this course go on to study music therapy. Music professionals earn an average of A$51,000 (JobOutlook). If you continue with your study with our Master of Teaching to become a secondary-school music teacher, you could earn around A$78,000 (JobOutlook). Victorian Student Band of the Year, VU’s Party On My Darling are honing their skills at Kindred Studios. 48 credit points of Minor studies from the list below. 6. Exhibit academic skills in independent research, critical analysis, reading, note-taking and collection and organisation of resource materials, including the presentation of oral and written material, and online and digital media resources. An interview and/or audition is required as part of the application process. Completion of a single unit of Higher Education studies in Music. Five years (minimum) work/life experience in Creative Arts or similar. Browse our other Music courses or send us an enquiry to be notified of updates relating to this course.